Altcoins, or alternative cryptocurrencies such as <="" rel="noopener external noreferrer" target="_blank">,Primecoin and Dogecoin, have always been a popular and controversial topic in the Bitcoin space. 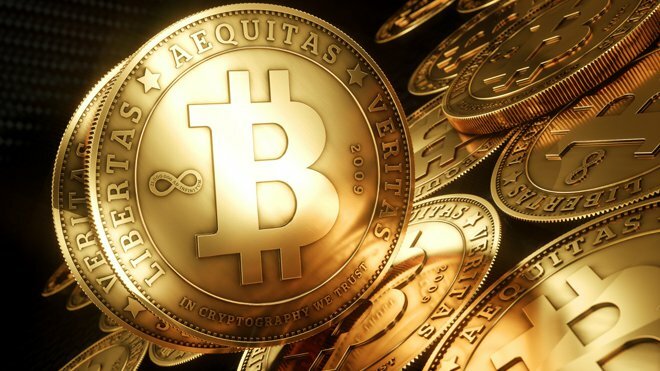 The purpose of most of these currencies is to offer small modifications from Bitcoin proper, including faster confirmation times, attempts at socially useful mining algorithms and different monetary policies such as fast exponential decay, quadratic decay and even infinitely linearly growing supply, and investors and users of the coins believe that these additional features and modifications will make the currencies either overtake Bitcoin or at least survive in some niche. Detractors, on the other hand, argue that Bitcoin’s network effect is too large, and altcoins do not provide nearly sufficient value over Bitcoin to ever take over to any significant extent. Daniel Krawisz from The Mises Circle has taken the lead in the anti-altcoin faction, with two lengthy articles written on the subject in the last few months. The first article, The Problem With Altcoins, introduced the issue of network effects, the property of interaction protocols such as social networks, file formats, currencies and languages to become intrinsically more valuable the more users they have, as an argument for why one currency succeeding is the only stable state, and used various arguments to attack individual altcoins. I later wrote a response, and Krawisz’ second article, The Coming Demise of the Altcoins, was in part a response to my response, expanding on his reasoning as to the exact nature of the network effect that he was describing. The market cap of a currency should be seen as roughly proportional, all things being equal, to a currency’s liquidity, which refers to the value that can be bought or sold without significantly altering the price. While it is theoretically possible for a currency of a given market cap to support any volume of trade as a medium of exchange, this requires that people become less and less willing to hold the currency for any length of time as the volume of trade increases. In this situation, severe practical difficulties ultimately develop. For example, if someone wanted to buy something worth more than the entire market cap of the currency he was using, he would have to pay with several transactions. Consider the hypothetical example of an economy that uses exactly two currencies, Acoin and Bcoin, which are equally preferred by holders. For whatever reason, Acoin develops a very slight advantage over Bcoin. Consequently a few people exchange Bcoin for Acoin, thus very slightly increasing the market cap and liquidity of Acoin and slightly decreasing that of Bcoin. Now, in addition to its initial slight advantage over Bcoin, Acoin has the advantage of becoming more liquid. As a result, more people will tend to sell Bcoin for Acoin. Thus, Acoin’s initial advantage is self-reinforcing, and as the disparity between Acoin and Bcoin increases, its superiority becomes more and more evident. Eventually, Krawisz writes, this positive feedback loop would lead to exactly one coin succeeding. This is not the network effects argument that most people would expect with regard to currencies; the standard argument, and one that I had originally incorrectly inferred that Krawisz had in mind, is the network effect of merchant adoption: a currency is more useful if more merchants accept it, and merchants want to accept a currency that many customers use. This standard argument I refuted in my earlier piece, arguing that it is much easier for a merchant to simultaneously accept multiple cryptocurrencies than it is to accept both bitcoin and dollars, and so switching costs are small and therefore network effects are small. Rather, Krawisz is arguing for a different kind of network effect: the effect of liquidity, the precise argument behind which he outlined in the paragraphs quoted above. In finance, there are actually two definitions of liquidity, and it is not always clear which definition someone talking about liquidity is referring to. The first definition, and the one more often used in mainstream finance, has to do with market depth; the question is, how much of an asset can be sold on a market without affecting the price by more than some specified amount? For example, in the current Bitstamp order book, you can sell $100000 without bringing the price down by more than 1%, and you can sell $500000 without bringing the price down by more than 2%. On BTC-E’s LTC/BTC order book, on the other hand, you can go down 1% with $16000 and 1.5% takes $36000; the LTC/USD has a similar amount. The second definition, however, and arguably the one that is much more useful to the average user, refers to the spread: what is the percentage that you lose when trading LTC for BTC or USD? This is what people mean when they say that currency is liquid, whereas a house is illiquid: the effort of buying or selling a house takes up a substantial portion of the amount that you are going to receive. In both Bitcoin and Litecoin, this measure of liquidity is made up of the bid/ask spread on the exchange (the difference between the lowest sell order and the highest buy order) and the transaction fee; in total, this amount is almost always less than one percent, and because exchange fees dominate there is actually not much difference between BTC and other altcoins. Of course, the assertion that narrow spread is more important to average users than the ability to sell large quantities needs to be defended. In general, most purchases made with currency are very small; Overstock reports an average of $226 for Bitcoi customers, an average credit card transaction is $88 and the Android and iOS app markets show $14. On the employment market, on the other hand, transactions go up to the low thousands apiece. But in any case, it seems clear at least at first glance that most people fall far below the point at which the “depth” kind of liquidity even matters, especially once the much larger and more stable non-financial liquidity in the form of products for sale and workers for hire comes into play. A more sophisticated, and audacious, reply may point out that the point of currencies is not to purchase goods and services; it’s to speculate on them. This argument may seem absurd at first glance, but Daniel Krawisz actually makes it, and so it must be responded to. In this case, it’s not the size of a single consumer transaction that matters when it comes to liquidity, but rather the total sum of an individual’s wealth. A currency is then sufficiently liquid if, in most cases, most individuals can liquidate their entire holdings, presumably to speculate on the next currency to come along, without taking too big a hit on the spread. In these circumstances, the weaker depth of altcoins does start to become an issue. However, the idea that the primary utility of a currency is for moving one’s entire savings from one currency to another certainly needs to be questioned. In the current world, the main purpose of altcoins is indeed to speculate on them, but arguably that is only because cryptocurrencies have not yet found their intrinsic value and are largely treated as investment vehicles in comparison to the dollar. If cryptocurrencies do take on a much larger role, however, the point that BTC is more liquid will become moot. If BTC is the dominant currency, it will be the most liquid currency. But liquid against what? Altcoins? If so, it seems like altcoins do need to exist after all. Products? In that case, as we discussed, depth-liquidity really is not that much of an issue. When people say, “But Ethereum can do smart contracts!” this is actually false. It is only the Ethereum protocol plus liquidity that make smart contracts possible. If Ethereum were not liquid, it would be impossible to build any real penalties into a contract because it would be impossible to tie a sufficient value into them. Since there is no logical reason to expect Ethereum ever to be liquid, there is no logical reason to expect that many people will be able to create smart contracts with it. The problem with this argument is obvious: once again, you really don’t need that much depth-liquidity for the platform to be useful for ordinary people, and spread-liquidity has proven to be a trivial problem in any case (and, in Mastercoin and Ethereum’s case, will be even more trivial because of the possibility of decentralized exchange contracts reducing exchange fees to literally zero). If MSC, or ether, can have a depth-liquidity of even $5000 for 1%, then its smart contract functionality will work just fine for transactions under that size. If you assume that the smart contract functionality of these transaction media is powerful enough to be worth a 1% fee, then you can see how the platforms can be useful under that size. And even over that size, some merchants may want to accept MSC/ETH as currencies directly. And once enough people are using them, their depth-liquidity can go up, progressively tolerating higher and higher levels of maximum value. Another reason behind the success of altcoins is the issue of anti-network effects: in some ways cryptocurrencies become less useful the more people use them. The main reason behind this is currently technical – a single blockchain gets bulkier the more people use it, and it becomes more cumbersome to download and use the client. Theoretically, this can be handled via scalability solutions such as light clients, verifier-based challenge-response protocols, Merkle mountain ranges and SCIP, but it exists for the moment. As a result, different currencies have different informal policies on what kind of transactions they want to accept; in the case of Bitcoin, for example, developers have proven very hostile to data inclusion and meta-protocols, whereas Datacoin is specifically designed for storing data. Dogecoin has vastly lower transaction fees than Bitcoin, making it ideal for small-value microtransactions. In the long term, of course, this will not last, since scalability technologies will make it more valuable to coalesce everything on one blockchain, but in the short term it is a valid reason why altcoins exist. A more important argument, however, comes in the form of what Dmytri Kleiner calls the public function of money – the idea that money has a function beyond just its ability to facilitate transaction. This second function has to do with the concept of “seignorage” – when you create a new currency, you also need to issue new units of that currency, and those new units would need to be allocated in some fashion. As people start using the currency for trade and as a store of value, the value of those units increases from zero to nonzero, providing the initial recipients of that currency with a sort of “phantom” return that was not paid by anyone. This creates a powerful, decentralized, solution to the public goods problem: instead of expecting individuals to contribute money to useful projects where only a millionth share of the utility will go to themselves, we can fund said projects via emergent value created out of nowhere. Bitcoin uses this emergent value purely to fund network security; Primecoin tries to simultaneously fund network security and scientific computation, although its implementation is unfortunately a relatively weak one. This idea goes beyond just appcoins: this emergent network value from a currency can also be used to support communities, either by providing a limited “citizen’s dividend” program (eg. Auroracoin) or supporting other public goods that have nothing to do with cryptocurrency specifically. The concept of “branded coins” has become popular, particularly in the space of funding musicians and artists, and currencies based around “useful” activities, such as Curecoin, are becoming increasingly popular. Cryptocurrencies with a socially useful public function will benefit from superior community support and marketing, ensuring success at least among the community of people who care about the specific objectives that each individual “coin” supports. In conclusion, the arguments in favor of altcoins can be summed up as follows. First, some altcoins do have substantial benefits over Bitcoin, with particular emphasis on cryptocurrency 2.0 platforms that offer smart contracts, the ability to issue custom assets, decentralized exchange, etc. Second, even without such benefits, there is a reason to have alternative currencies right now, which can basically be summed up as “lower transaction fees”. Third, currencies in general have a crucially important “public function”, and Bitcoin is very unimaginative in its attempt to exploit this possibility, using it solely to fund an arguably excessive amount of network security. Decentralized applications have the potential to use internal currencies and assets to fund themselves, and currencies can be used to fund external public goods as well. Finally, out of the the main arguments of network effects, merchant adoption, spread-liquidity and depth-liquidity, the first is a non-issue because switching between altcoins is very easy, the second is a non-issue because exchange fees dominate spreads in any case, and the third is a non-issue because most ordinary users fall under the thresholds. In the future, I expect to see a power-law distribution in the crypto-asset space: a few large platforms, like Bitcoin, where the bulk of mainstream activity can take place, a larger number of platforms with coins built in of varying size, and a very large number of small altcoins whose main attraction is a specialized community. Let a million currencies bloom.